Fairy tales are not just mere stories. They bring incredible benefits to growing children. Want to know the importance of these stories for children? Keep on reading this post. Usually, parents read fairy tales to children merely to entertain them or get them to sleep. What parents often don't realize is that these stories are actually helping their children learn new values and skills. The Tutoring Center, Auburn CA has gathered some of the benefits of reading fairy tales so that you can understand their importance. 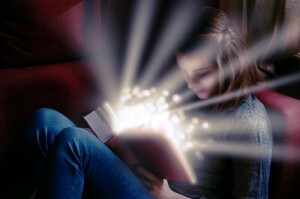 The first, and rather obvious benefit of reading fairy tales to your child, is that they can develop a love for books. Reading teaches youngsters new vocabulary, enhances their imagination, improves their creative process, and makes them better learners overall. Fairy tales are the gateway to the magical world of books, and it’s better to get them interested in books when they're still young. It needs to be said: fairy tales provide excellent bonding moments between parents and children. You can share your favorite stories and inspire your youngsters to keep on reading. In turn, they can tell you about their favorite tales. Fairy tales teach children to be critical thinkers. As they ponder the situations that led the main character to go through all of their adventures, they can decide what they would’ve done differently in the character’s situation. Would they have eaten the apple if they were in Snow White’s place? After all, every child knows not to take candy from strangers. Fairy tales also teach children to look past a person's appearance. An innocent-looking old lady was still evil in Snow White's case, while a big scary gorilla can have a heart of gold and raise a human child, just like in Tarzan. Children learn that their decisions can shape the situation, so they must always think before they act. Teaching children to be more self-sufficient will help them have an easier time in their adulthood, but they should also learn to ask for help when they need it. There’s no reason to be ashamed of needing help every once in a while. Take Cinderella as an example. She did all the hard work and still she couldn’t go to the ball. When she asked her fairy godmother and animal friends for help, and she got everything she wanted. With that said, if your child is struggling in school and they need some extra help, don’t hesitate to sign them up for tutoring in Auburn. The Tutoring Center, Auburn CA has a variety of tutoring programs to help your children succeed academically. Schedule a free diagnostic assessment online or give them a call at (530) 878-5010. The world isn’t made of cotton candy, sunshine, and rainbows. We know that as adults. Bad things can happen to everybody, good or bad. Children should understand that and learn not to be afraid of challenging times. The great thing about fairy tales is that the heroes overcome their obstacles and find a way to make things better. That’s exactly what your child should get out of those stories. Fairy tales provide a safe and magical environment where children can learn about life’s hardships. Plus, in many stories, the main character is a child, and children always find a way to identify themselves with the character. If Harry Potter could vanquish his adversary, your child can survive life’s hardships too. No great story is free of adventure. If the protagonists weren’t willing to make a change, get out of their comfort zone, and try something new, there would be no story at all. If your child wants to have an adventure, learn something new, or find their passion, they need to try new things. Things go better if you have a plan. The Three Little Pigs teaches us that taking the easy way out is not the smartest option. The Little Pig who planned and worked hard to build his brick home had the safest place. Sometimes it can be annoying to be patient and create a plan, but you’ll get a better outcome if you do. Fairy tales always prove that love can bring magic. A loving kiss woke Snow White from her eternal slumber and turned Beast back into a prince, and Lily Potter’s sacrifice helped Harry lived. Love can positively change everything. You never know what hardships other people are facing and how a little kindness can transform their day. Children learn to be kind and compassionate to each other. Bullying and fighting back isn’t always the answer. Sometimes an act of kindness can make all the difference. Even villains need some love. No one should go through life alone, just look at fairy tales. All the struggles the characters go through are made easier with the help of their friends. Ariel had Flounder, Pinocchio had Jiminy Cricket, Peter Pan had Tinkerbell, and Harry had Hermione and Ron. It’s important for children to learn about and appreciate the value of friendship. Fairy tales are of utmost importance for developing children. They are an excellent way to teach life lessons in a fun manner. If you’re interested in further instilling a passion for books and reading in your child, The Tutoring Center, Auburn CA can help. Their tutoring specialists can talk to you about their reading programs. Give them a call at (530) 878-5010 for more information.